Lake County has launched a new Open Data and Records Hub that makes Lake County government data easily accessible – and searchable — to a broad audience, including residents and taxpayers, enhancing transparency and accountability. Additionally, government employees can now access other departments’ data to help enhance services and drive efficiency. The Open Data and Records Hub centralizes a wide range of data in one place from property taxes and health and recreation to transportation and government contracts and agreements. This new tool allows users to search and discover PDF maps, web mapping applications and other datasets all free of charge. The existing datasets on the Hub will consistently be updated, and Lake County is exploring adding new information, including financial data. It’s not too late to register to vote in the upcoming election! Grace voter registration is available during early voting now through Nov. 5 and on Election Day. Skip the lines on Election Day by voting by mail! 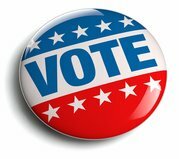 Registered voters must submit a required application form by noon on Nov. 1 vote by mail. Returning voted by mail ballots must be postmarked by midnight on Nov. 6. Early voting is available now through Nov. 5 at 16 sites throughout Lake County! Find an early voting site near you by using this locator. Hours vary at the 16 different sites, and some locations even offer weekend and evening hours. View dates, locations, and hours of sites. Those choosing to vote on Election Day, Nov. 6 must go to their assigned polling location. Polls will be open from 6 a.m. to 7 p.m. Find your assigned voting site. For more information about the upcoming election, visit the Lake County Clerk’s November 2018 Election web page. Lake County voters will see a question on their November ballot that reads: “Shall the Illinois General Assembly amend the State Constitution to ban the creation of a new statewide property tax?” The Lake County Board approved placing this advisory (or not-binding) referendum on the ballot (by an 11 to 6 vote) earlier this year in response to reports that the State Legislature was considering enacting a statewide property tax to pay for obligations, such as state pension. The results of this advisory, non-binding referendum question will be shared with the state legislature. Trick or Treat, Lake County! It’s that time of year when youngsters in great costumes go door-to-door in the neighborhood looking for some nourishing sugary treats! View trick-or-treating hours in Lake County, and create a great experience for your little goblins. A free, confidential county-wide referral service is one step closer to reality thanks to support from the Lake County Board. Residents will simply be able to dial 2-1-1 for personal assistance (much like they dial 9-1-1 for emergency assistance). The United Way of Lake County is developing the new 2-1-1 service that will connect residents to various resources from shelter and housing options, supplemental food programs, services for veterans, health care, and many other critical services to help improve and save lives. The Board allocated $80,000 in video gaming revenue (which is generated from video gaming in the unincorporated areas) to the United Way of Lake County. The agency expects 2-1-1 to launch in spring of 2019. Watch this video as Lake County Board Member Steve Carlson explains what this service will do for residents in Lake County. Looking for a career in healthcare? Meet with healthcare employers and training professionals throughout Lake County at the upcoming Healthcare Job Fair! Register now to reserve your spot, and watch this video to learn more about the job fair. Metra has proposed a 2019 operating budget of $822 million that does not include a fare increase. The public is invited to attend a series of public hearings to provide comments on the proposed budget. View the proposed budget and hearing schedule. The Best Time to Get a Flu Shot is Now! Now is the time to get a flu vaccine and protect your family before flu begins spreading in your community. The Centers for Disease Control and Prevention (CDC), recommends everyone ages 6 months and older get an annual flu vaccination. The Lake County Health Department offers the flu vaccine by appointment at its Immunizations Clinic and Community Health Centers throughout Lake County. To make an appointment, call 847-377-8800. The vaccine also is available at many sites throughout Lake County. Find a convenient location. Help prevent substance abuse and theft by safely disposing your home of potentially dangerous, expired, unused, and unwanted prescription drugs. The Lake County Sheriff's Office is partnering with the DEA for Prescription Drug Take Back Day from 10 a.m. to 2 p.m. Saturday, Oct. 27. The service is free and anonymous. View the drop-off locations. Remember, the Sheriff’s Office and local law enforcement agencies also provide drug disposal boxes at locations across Lake County where your unwanted and expired prescription drugs can be disposed safely all year round. Find a drug disposal box near you. Each year, snow and ice removal professionals from the public and private sector attend Lake County’s deicing workshops to stay up-to-date on alternative winter maintenance practices and learn the importance of responsible road salt use. This year marked the 10th Annual Deicing Workshop, with over 160 attendees from various municipalities and organizations. As part of the training, attendees are offered the opportunity to take a test to earn a spot on the “Preferred Provider” list, which is available on our website. Watch this video to learn more about Lake County’s deicing workshops. Watch this video to learn more about the Dunn Museum in Libertyville, from Forest Preserve President Ann Maine and Commissioner Carol Calabresa.